Editor-in-Chief ‘s Anniversary. P. 3-5. 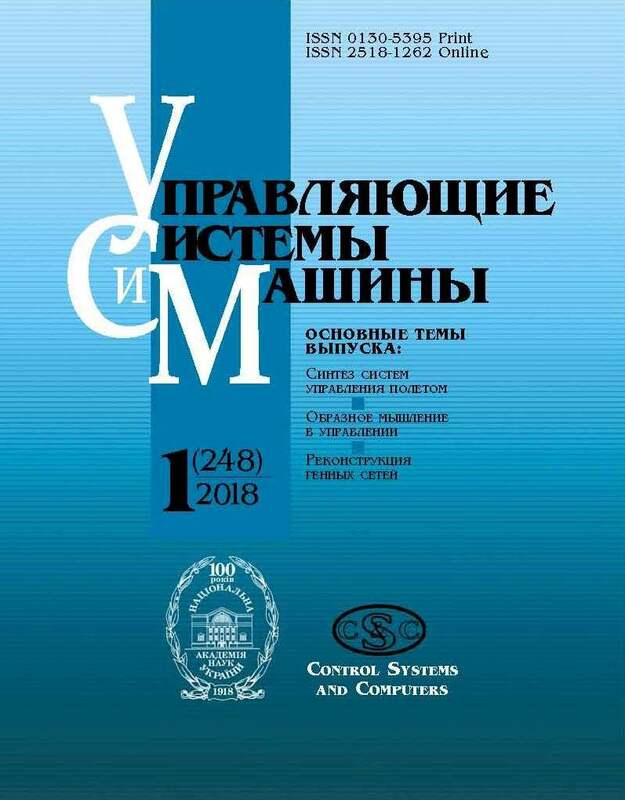 Lozinskiy A.P., Simakhin V.M., Oursatev A.A. Technologies Modeling for Processing Large Data on the Local Cloud Platform. P. 6-19. Sherman Z.A. The Methods of Constructing Square Difference Labeling. P. 20-25. Samokhvalov Yu.Ya. The Assessment of the Administrative Decisions Validity by Fuzzy Logic. P. 26-34. Gritsenko V.I., Timashova L.A. The Internet of Things in the Structure of the Clever Enterprise. P. 35-43. Yakovlev Yu.S. About the Workplaces Virtualization and Its Components while Construction the Computer Systems and Networks. P. 44-56. Babakov R.M., Barkalov A.A. Operational Realization of Output Function of Microprogram Final-State Machine. P. 57-62. Fefelov A.A, Lytvynenko V.I, Taif M.A., Lurie I.A. Hybrid Approach for Gene Regulatory Networks Reconstruction. P. 63-72. Volkov A.Ye. Invariant Method of the Aircraft Dynamic Conflicts Resolution. P. 73-79. Voronin А.V., Voloshyn I.V. Stochastic Discrete Dynamic Model of the Bank’s Liquidity. P. 80-85. Nedilko V.N., Semenyuta M.F., Stratonov V.N. Justification of the Method of Choosing the Optimal Place for the Forced Landing of the Aircraft on the Water Surface. P. 86-92.